Wherever and whenever people have been found talking, they have been found drinking: an age-old pastime with an equally storied history. Alcohol and civilization have developed in close quarters, sometimes supporting each other and sometimes getting in each other’s way. 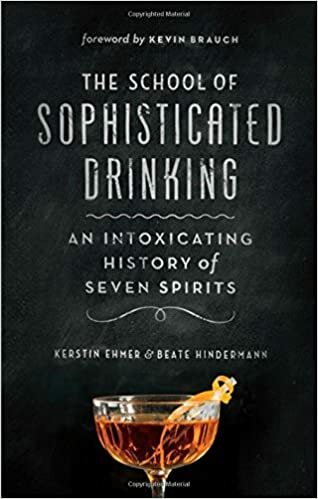 The School of Sophisticated Drinking, which began as an ongoing series of lectures at Berlin’s legendary Victoria Bar in 2003, traces the deep-seated lineage of drinking in the social, political, and even scientific developments of our culture. Appealing to both expert drinkers and novice barflies, each chapter delves into the sociopolitical significance of and technological innovations behind a familiar wine or spirit—brandy, vodka, whisky, rum, gin, tequila, and champagne—and shares plenty of tales of adventure, from the glamour of Hollywood and Broadway, to the tormented worlds of well-known writers, to the outbreak of wars and the unending struggle for economic and military power. The reader’s thirst for knowledge can be further quenched by trying any or all of the enticing cocktail recipes gathered at the end of the book.